Being pregnant is an exciting and challenging time. While I can't wait to meet our little bundle of joy, it's been hard to navigate through the ups and downs of pregnancy. While I'd love to say that all doctors always provide in-depth information for what you might need to know, I haven't always found this to be the case. I go into my appointments not knowing what to ask, and being given the bare minimum. I know not everyone has this experience, but I have. It feels as if these past 9 months have been constant googling. "Can I sleep like that?" And as I near the final few weeks of being pregnant, I'm starting to think more and more about contractions and prepping for the big day. 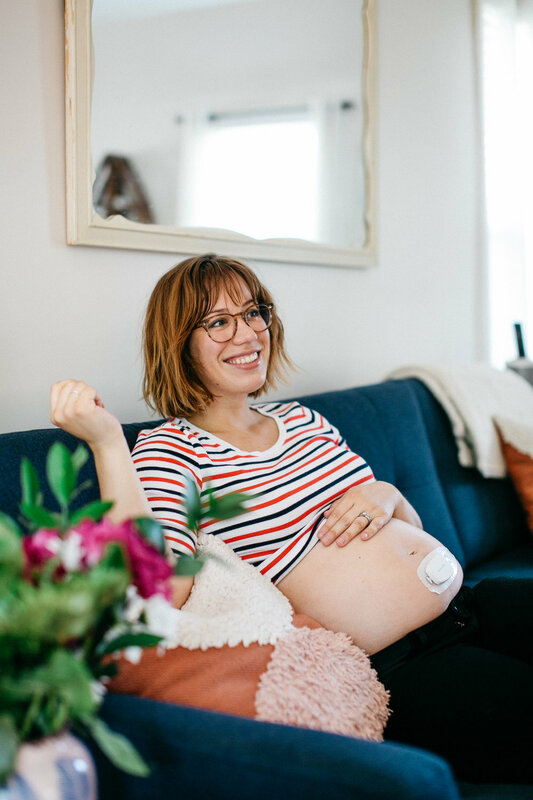 I've been trying to read up on what to expect and so glad that I discovered Bloomlife, a website, app, and wearable contraction monitor that helps teach you how to identify Braxton Hicks contractions while showing you your unique, individual patterns. In a crazy time, it's nice to feel educated - finally, peace-of-mind! I used to think contractions mostly happened right before the baby is born, but they can actually happen weeks before. I started using Bloomlife at 34 weeks, and had no idea I was having small contractions! Thanks to the app, I could track them, and through watching how frequent/long they were, know that they were inconsistent with early labor. Thus, making them Braxton Hicks contractions. Using Bloomlife was super easy. First thing we did was charge the sensor. While it charged, I downloaded the Bloomlife app and input my info! I was ready to roll. I waited until a lull in my evening (Bloomlife recommends tracking spending an hour or two while relaxing in bed or on the couch) to try it out. I attached the patch about 3 fingers down from my belly button, and let it sync up with the app. I watched as it recorded data for an hour, and then I started to see my stats show up! In the app, there's a real-time view, that tracks contractions on a graph. Then there's the contraction pattern bar, which gives me an idea of contractions are regular or irregular in their rhythm and patterns (most will be irregular if they are Braxton Hicks.) Lastly, it shows contraction stats, which answer how far apart the contractions are and how long they last for. This is how I found out I was having smaller, Braxton Hicks contractions even when I couldn't feel them. 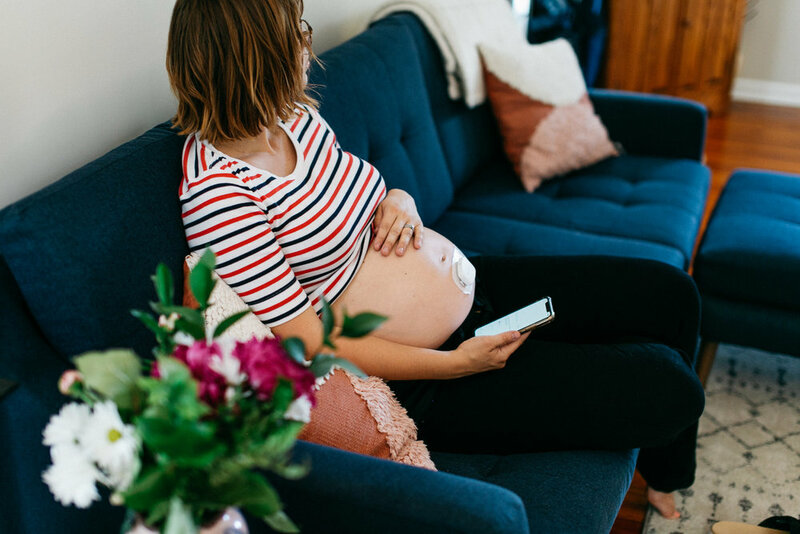 Another useful feature has been referencing the Bloomlife website - they offer helpful articles like How to Read the Bloomlife App, Signs of Labor, and Timing Contractions. I feel so much better than I did a few weeks ago about getting ready for labor now that I know more of the facts, and have learned how my body works. Unlike an ultrasound or doppler, I love that Bloomlife is a passive product that doesn't send any energy into the body. 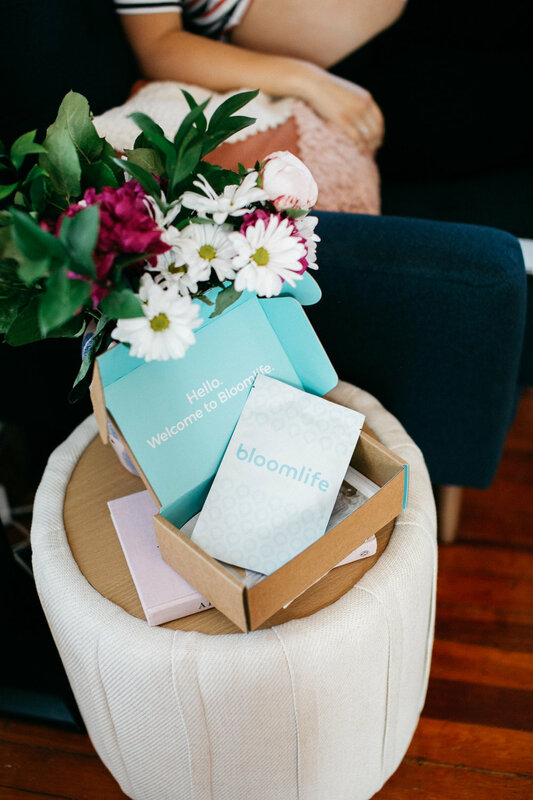 Most women choose to start Bloomlife between week 32-34, but there's no wrong time to give it a try. 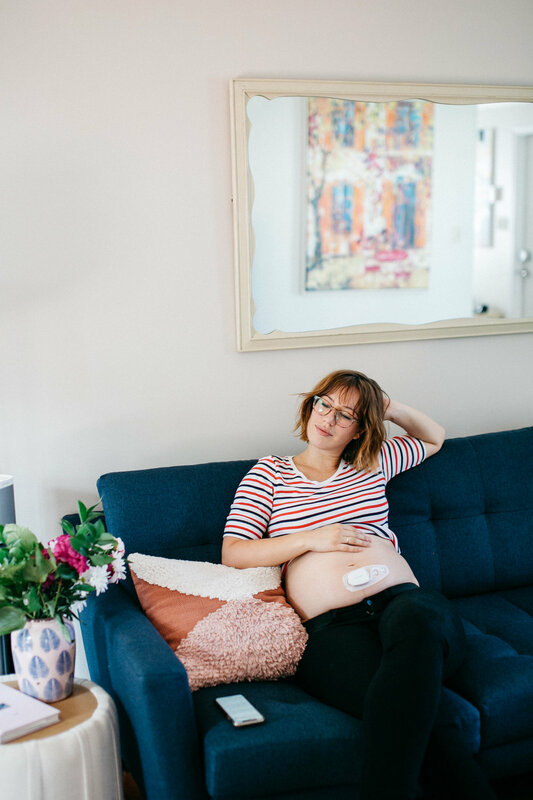 If you're a numbers girl like me, and are wanting to learn more about tracking your contractions, be sure to check out Bloomlife, the world's first clinically validated wearable contraction monitor. I'm really glad that I did. This post was done in partnership with Bloomlife.